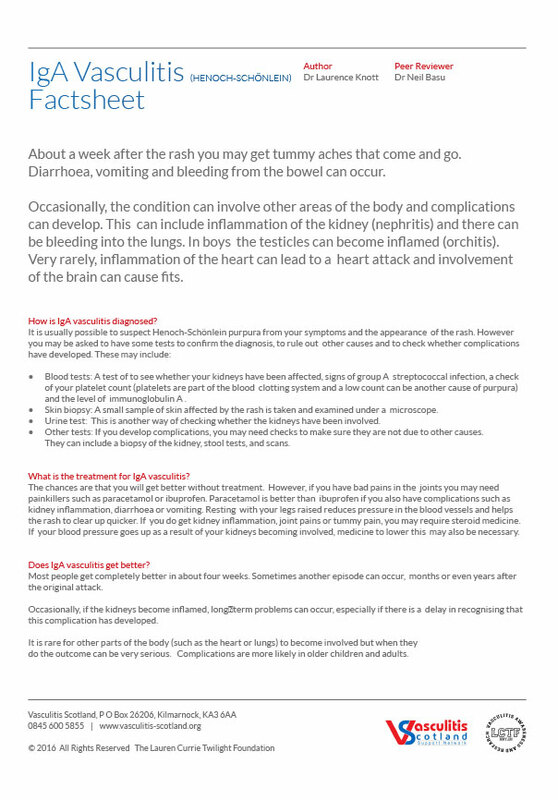 The Lauren Currie Twilight Foundation treatment factsheets are a trusted source of guidance for patient use. 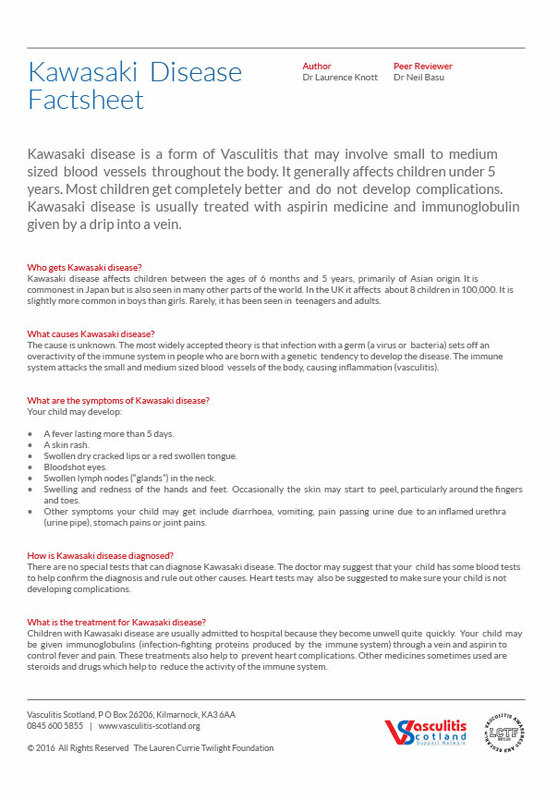 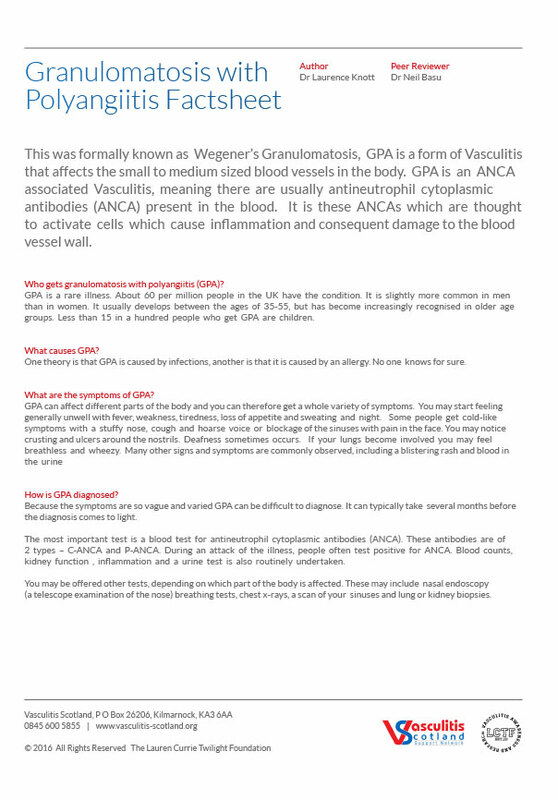 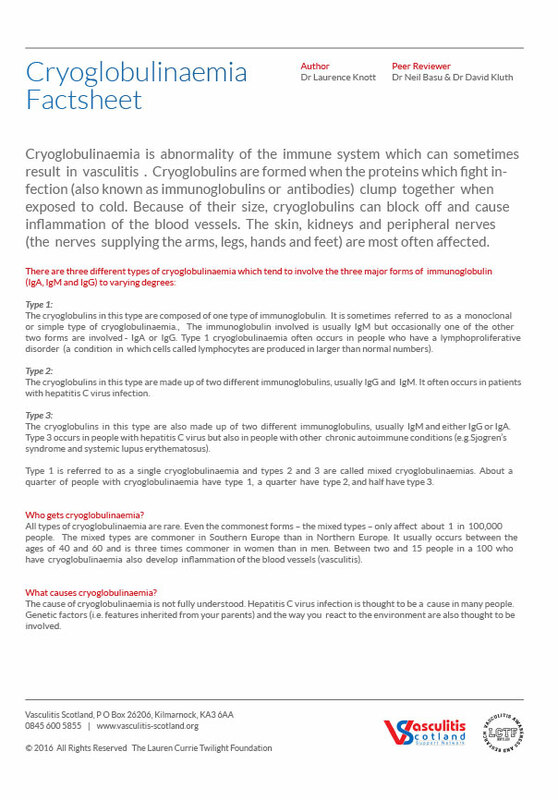 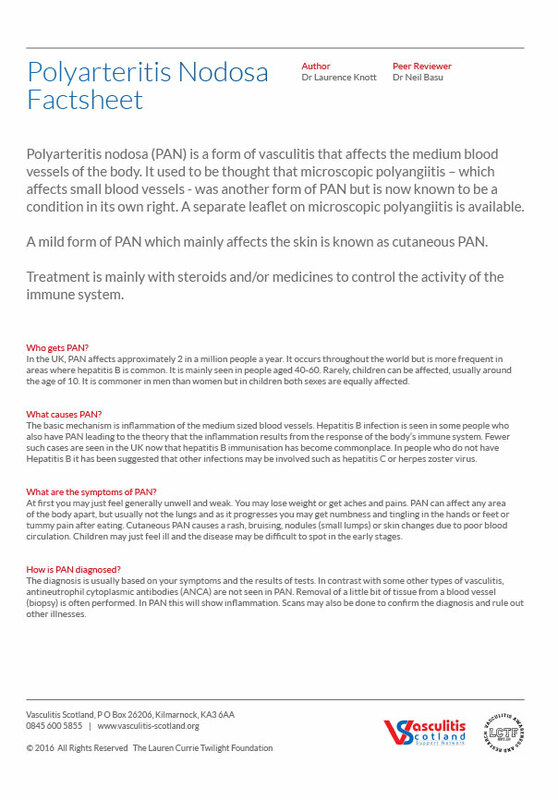 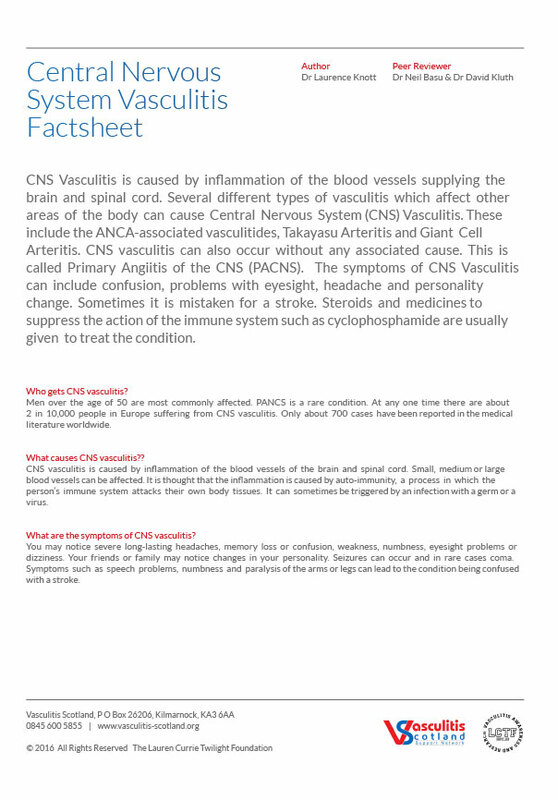 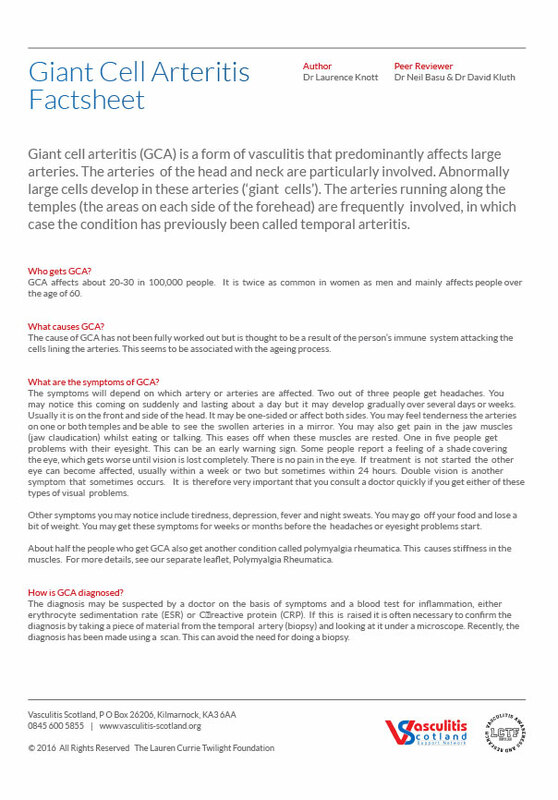 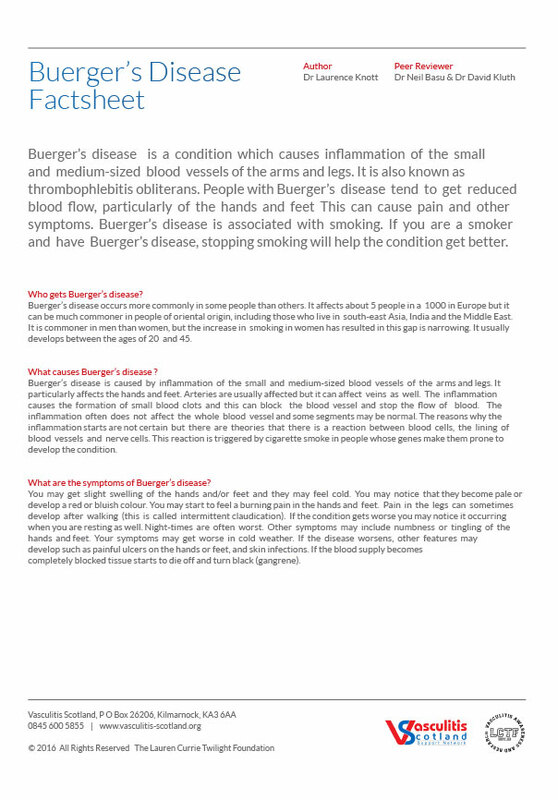 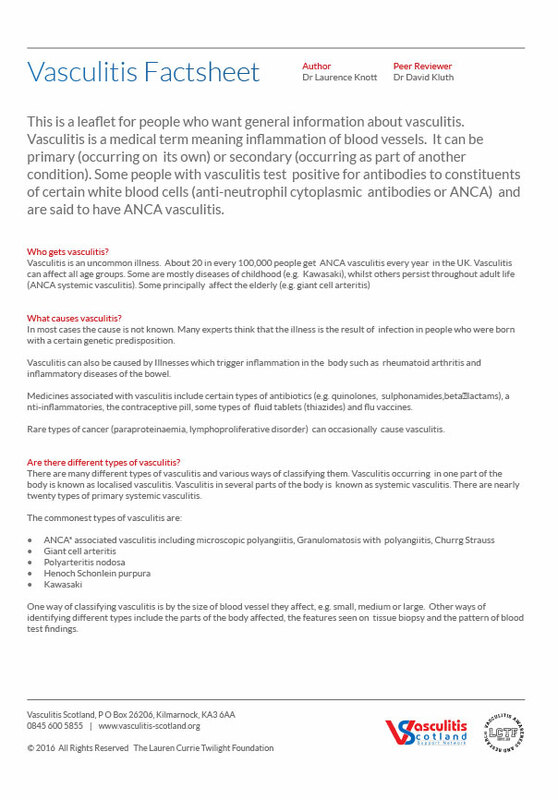 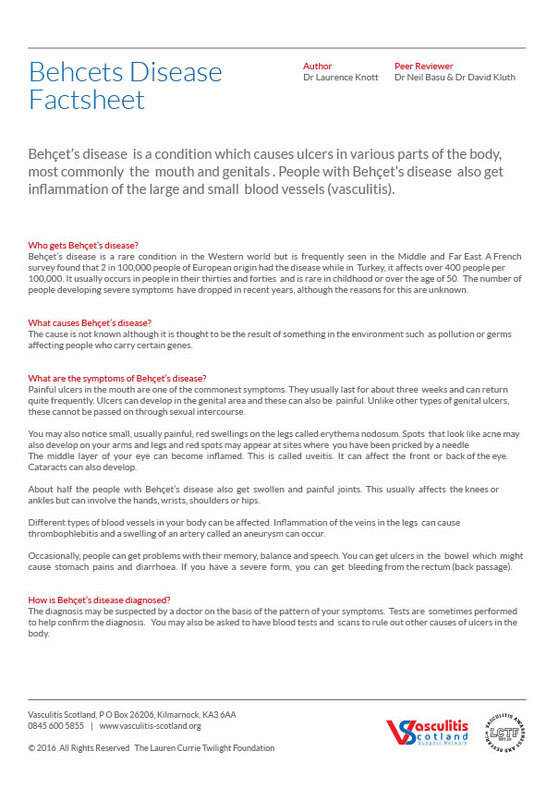 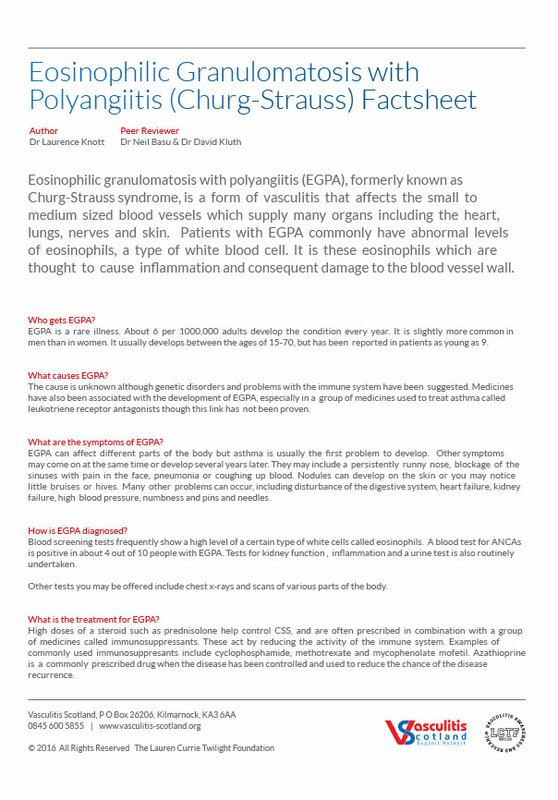 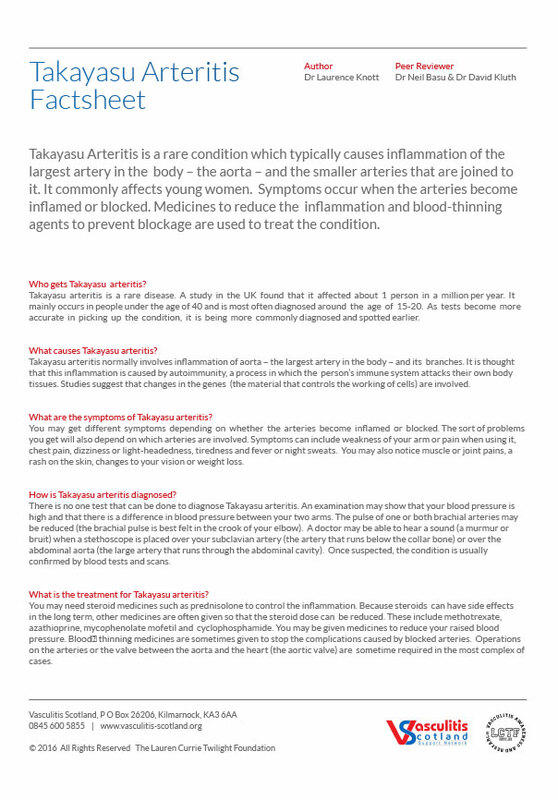 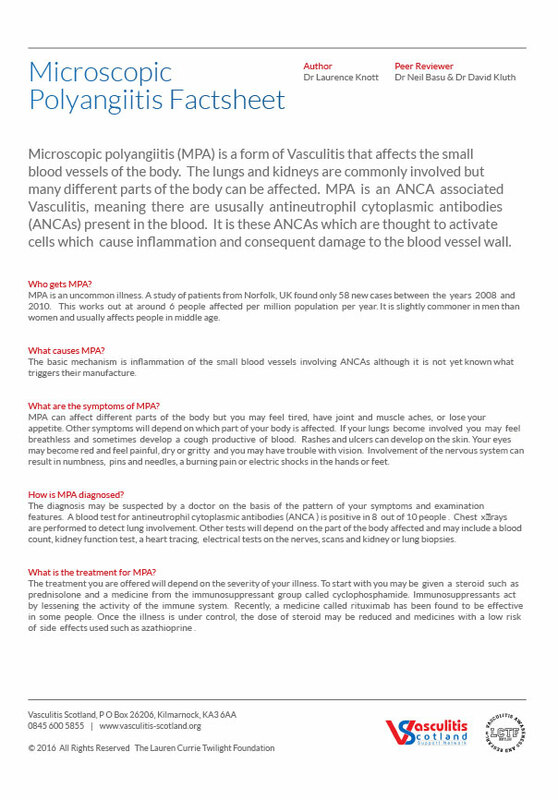 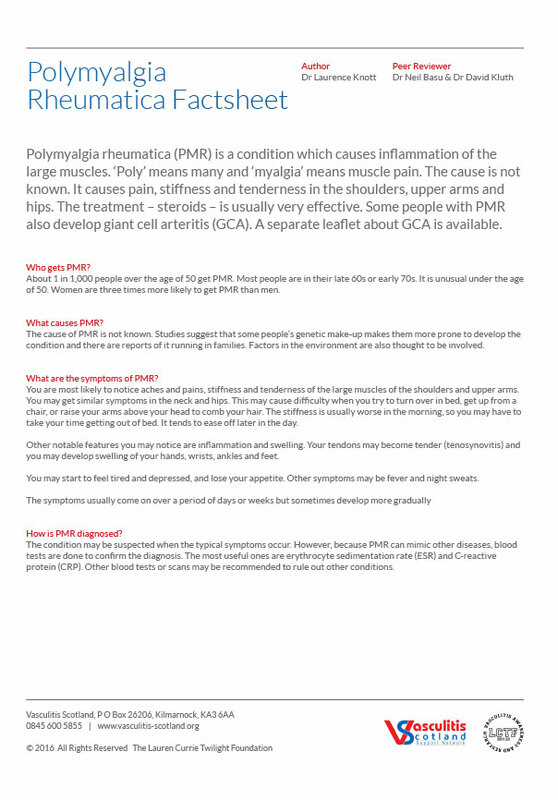 Our factsheets are written by an experienced medical author, Dr Laurence Knott, and peer reviewed by vasculitis consultants. 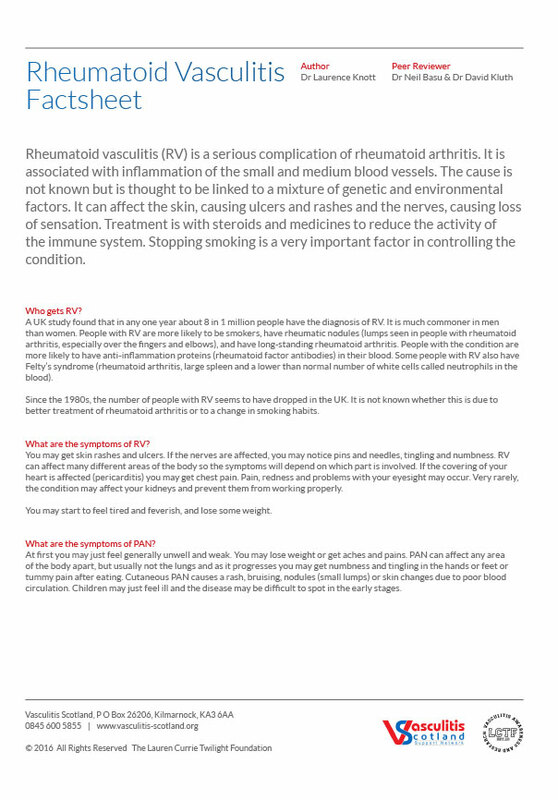 Our peer reviewers are Dr Neil Basu (Consultant Rheumatologist at Aberdeen Vasculitis Clinic) and Dr David Kluth (Consultant Nephrologist at Edinburgh Vasculitis Clinic).